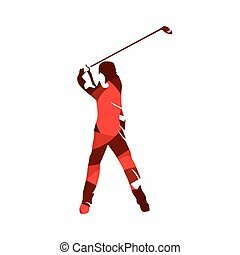 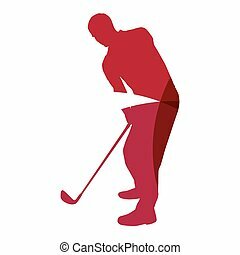 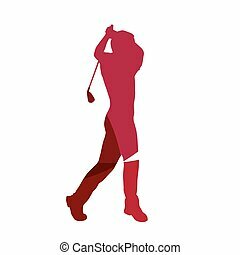 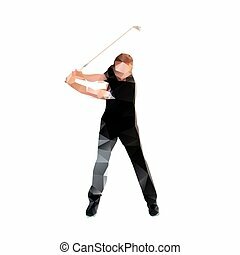 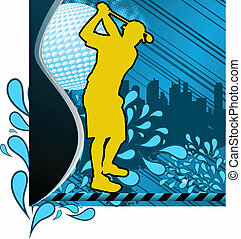 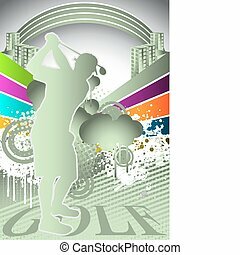 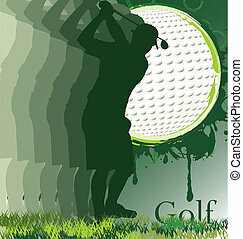 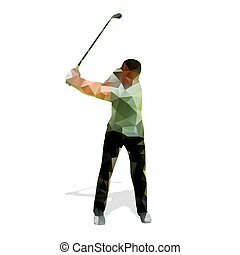 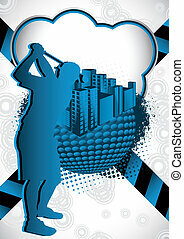 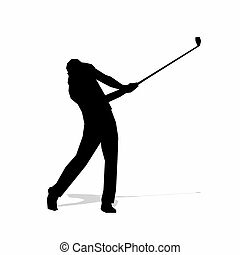 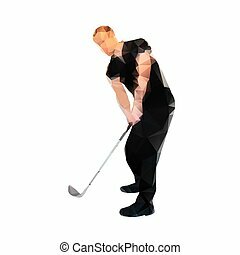 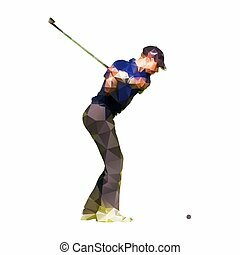 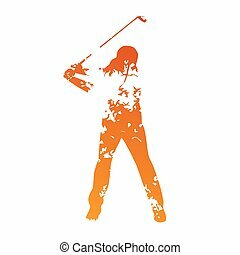 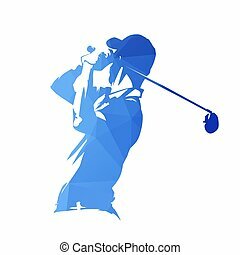 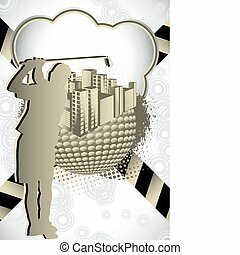 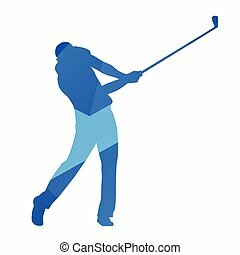 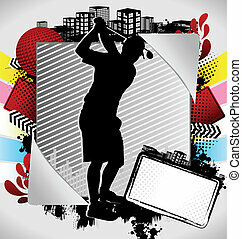 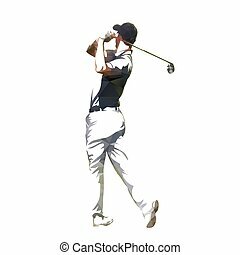 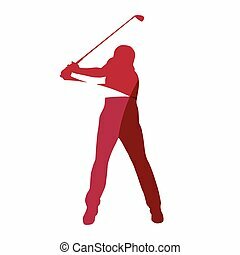 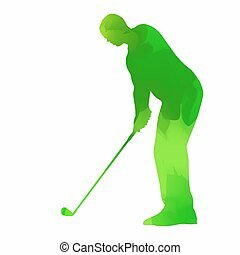 Abstract summer composition with golf player silhouette. 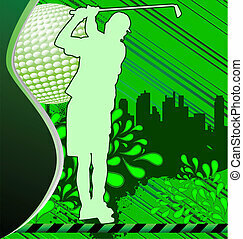 Summer games - Golf. 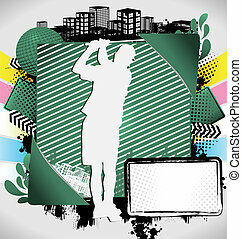 Golfer with abstract patterns. 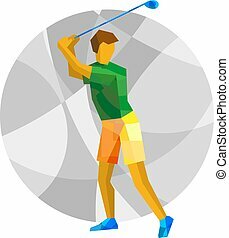 International sport games infographic. 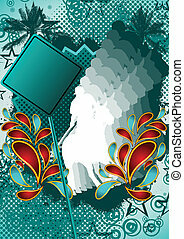 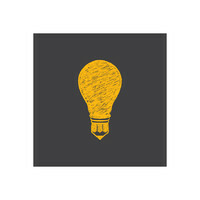 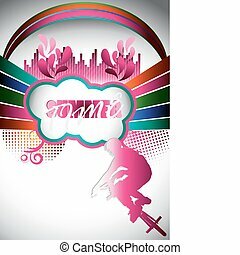 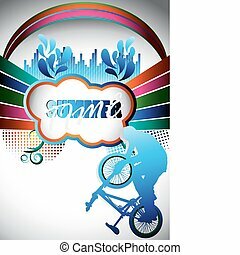 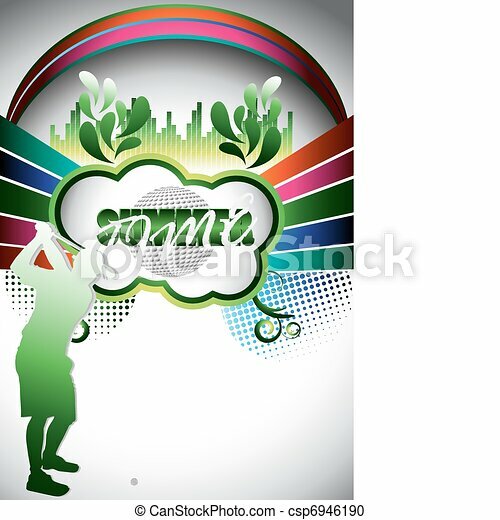 Flat style vector clip art. 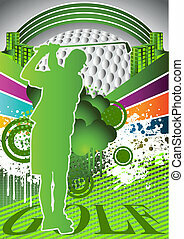 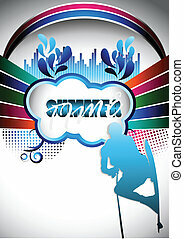 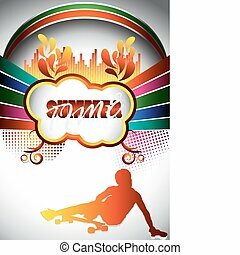 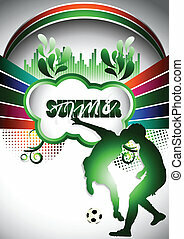 Summer abstract background design with polo player silhouette.